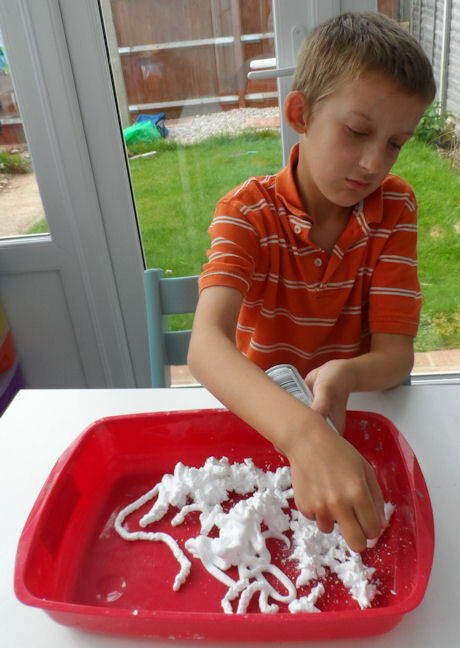 Sam really enjoyed our shaving foam painting experiement. The method means that there's always a certain amount of excitment about how the painting will turn out! 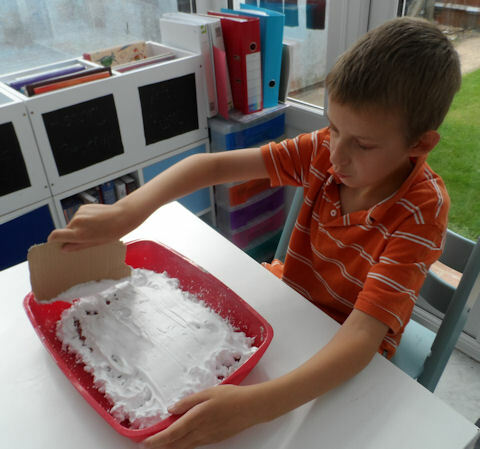 Fill a tray with shaving foam. This is definitely fun! Use a piece of card to smooth down the foam. Squeeze on some paint. We chose autumn colours. 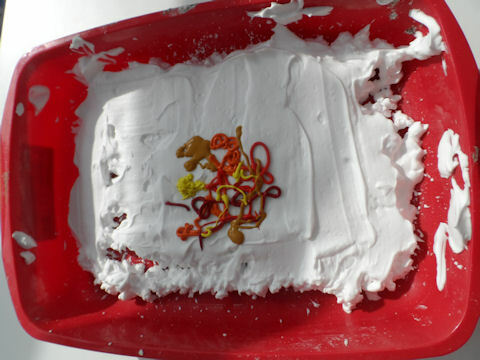 Use a stick or skewer to gently move around the paint to create swirls and patterns. Press a sheet of paper on top. Peel off and use scrap card to scrape off the foam. As this will further spread the paint, scrape from the middle to the sides. 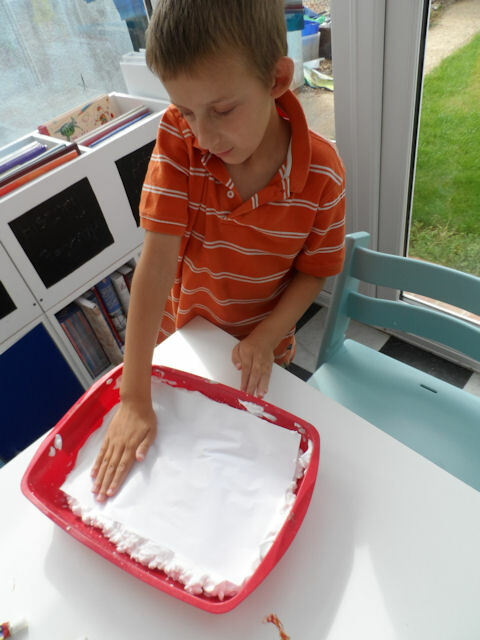 This simple craft idea resulted from an experiment, with Sam dropping watered food colouring onto kitchen towel to see how the colours intermingled. We turned the result into some cloud "suncatchers" and put them on display on our window. 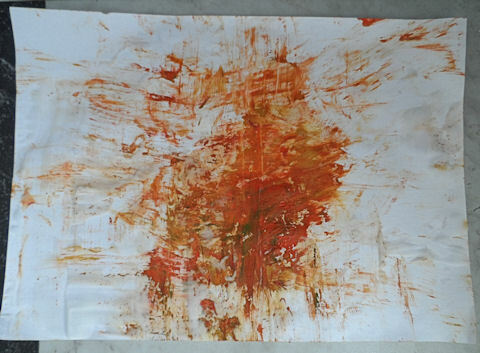 This is a handprint painting idea for slightly older children. Rather than using one colour of paint on your hand and manipulating the stamp to form shapes on the paper, this time Sam painted a design on his hand first. The result wasn't perfect, but it was fun. We've used a paint drizzling technique to make this Happy Holi card, and then glued on some craft foam letters. Of course you could make a card like this for any occasions - I think it would make a great birthday card.